Whether moving abroad or taking a long vacation, sometimes you just can’t live without a car. Car transport to Portugal is easy, but it does help to plan it out first so you don’t get stranded without your motor. Before you go ahead with your car delivery to Portugal you should check it over – of course if you’re importing a car you need to rely on the seller’s description – taking pictures always helps at this stage. Paperwork: Exporting a car to Portugal or any other EU country isn’t that complicated, but you will need a few important documents. Whether permanently or temporarily exporting your vehicle you will need: your MOT, insurance and proof of purchase. Permanently importing a car will require a special certificate from the DVLA, proof of identity, your application for Portuguese residency and certification of your cancelled residence in your previous home. Car Wash: Cleaning your car is important, not only so it looks good when it arrives on the Algarve, but so that you can easily spot any damage that might get caused during transport. Even scratches to paintwork can be expensive to repair so it’s crucial you know the condition of your vehicle before it travels. Check it Works! : Whether you’re importing a car to Portugal that’s not been driven for a while, or perhaps buying a classic car online, you need to make sure that it’s roadworthy if you intend it to be driven any part of the way. Checking the vital signs of your vehicle could help you avoid hefty fines abroad. Remember: You don’t have to register your vehicle for up to 180 days of private use (consecutive or not) in Portugal, it may be driven legally under your existing licence. - You will have to pay a number of customs and import taxes when importing a car permanently. - The minimum driving age in Portugal is 18 for residents. - Your vehicle will be subject to a number of conformity checks from the ANSR and IMTT. - Like most of Europe, the Portuguese drive on the right. - Used cars coming from the EU aren’t subject to VAT whereas new vehicles are. You can opt to drive down to Lisbon yourself, in fact you could make a rather nice road trip out of it. However, it can often be cheaper and easier to hire a car transport to Portugal firm, especially if you’re already in Portugal, as this saves you going to get it. Multi Car Trailers: Huge car bearing trucks can carry around a dozen cars at a time all across Europe. The main benefit of getting your car hauled this way is that you can relax in the knowledge that your precious motor is in the hands of a specialist. Also by sharing the cost of fuel you can save some money too. The downside of using a large trailer is that they tend not to be able to deliver door to door. 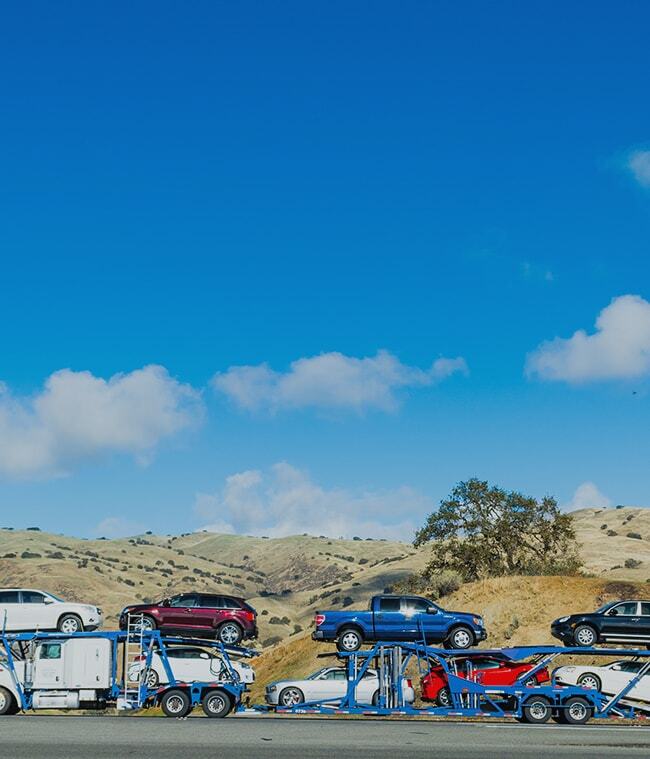 Single trailer transportation: This is perhaps your best option for a quick car delivery to Portugal because the bespoke nature of the transport gives you more control over the process. Single trailers are also best suited to transporting a non-roadworthy car. Driving it: As mentioned, you can drive it yourself; alternatively you can hire someone to do the pedal-work for you. Known as trade platers, these drivers specialise in delivering cars on a one to one basis. This can be less expensive than other options, especially with a driver who needs to get to Portugal anyway. Shipping: From Portsmouth or Pittsburgh, wherever your car is coming from you have the option to get your car ferried to Porto. You have two options for shipping, roll on roll of (where your car is parked on the boat), or containerised shipping, which strangely enough means your car travels in a shipping container. Given that around 65% of Portugal’s border is coastline, there are a number of ports to choose from. When looking at Portuguese car delivery options make sure that any driver you employ has proper European vehicle carrier insurance. Finding a transporter who is a member of a recognised vehicle transportation association can also be worthwhile. Getting quotes from lots of car import and export companies can be a laborious task, the last thing you want to be doing when planning a foreign move is trawling web pages for a car delivery to Portugal service. Which is where Shiply can help: by listing your European car move with us, we help bring the quotes you. Upload the details of your car transport to Portugal including dates and destinations and our registered car transporter will be able to see and quote for your delivery. You can compare competing companies based on the price of the offer as well as reviews from other Shiply members. When your car arrives, depending on how you got it delivered, you might have to go and pick it up. Your first task should be to check it over with the transporter to make sure that it hasn’t been damaged during its journey – any discrepancies should be taken up with the driver. Your first port of call should be the customs office (Alfândega Portuguesas), where you will need to declare your car’s arrival. Next you should make a visit to register your vehicle at the IMTT (Instituto da Mobilidade e dos Transportes Terrestres). Remember to bring all the appropriate documents. You can then apply for your Portuguese driving licence and plates. When you have a break from the sunshine please do leave some feedback for the transporter who helped you ship your car. Reviews on Shiply are the most useful tool in helping our users discern which delivery driver to use and are invaluable to everyone!